It was raining hard... long... with no end in sight. Like thieves in the night, we fled the scene tired of being drenched, hungry, and held captive. Only... it was mid day and I'll tell you more about it later... much later. Sounds like the beginning of a thriller novel, but it isn't; the event did happen. Question is: Why would something long buried come to the surface now? Could be: I'm watching too many murder mysteries, something to do with the weather, or 'Scorpio' prominently positioned in my natal chart. 'Yo', it could be any number of things. Thing is... 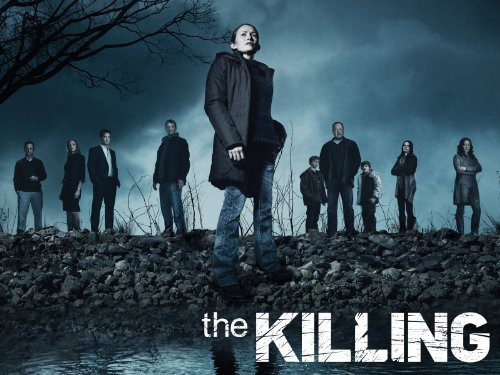 I AM watching too many 'whodunits' (slash) detective shows: 'DCI Banks', 'Scott & Bailey', 'Elementary', 'Top of the Lake', to name a few, but none of them as intensely as 'The Killing'. In less than a week, Michael and I watched both Seasons 1 and 2 (26 episodes) making it my favorite program of all time, tied only with 'MI-5', the British spook (spy) series, sadly no longer being aired. 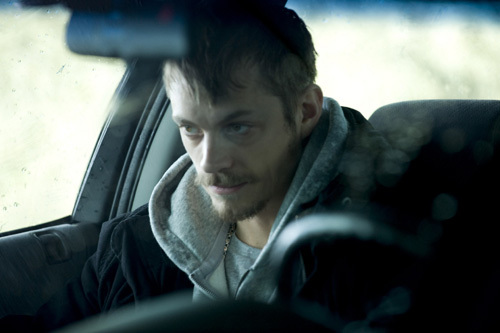 But no sad tears here... last night 'The Killing' returned with Season 3 on AMC. If... I can just hold out and wait for the DVD's to be available on Netflix or Xfinity's 'On Demand'. Then I can watch the entire season in one long clip, easily following the show's many twists and turns... instead of being fed small doses, one episode every seven days, and forgetting what took place the previous week. But for me, 'Little Miss Has To Have Everything Now! ', that's a pretty BIG, IF. If not 'crime scene investigations', maybe it's the weather, the rain, rain and more rain we've been getting that's contributing to this flashback of 'fleeing a scene drenched and hungry'. I don't mind rain when I'm comfortably situated indoors or outside somewhat sheltered under an umbrella. It's just that I don't like being soaked, wet and chilled to the bone, or blinded by moist droplets fixed to my glasses. Who does? I do like: the sound of rain, staring out of steamy windows streaked with raindrops, and being transfixed by misted landscapes captured by skilled photographers. No, this is not my profile for match dot com. It's that last phrase... 'misted landscapes captured' that had me mesmerized and continually drawn to the story line of 'The Killing', one long rainy production about the search for a killer... filmed in Vancouver, made to look like Seattle, the city of rain. The quality of the photography, shot in shades of blues and grays, colors reminiscent of ever-present rain and the drudgery of having to solve a difficult crime, is absolutely brilliant, something rarely seen on American television. While you might want to avert your eyes from a few of the bloody scenes, there's no way to circumvent the rain: a drizzle, a downpour, the after effect on wet pavement, and reflections on transparent surfaces. Even a momentary pause in precipitation, has cameras angling to other water sources: the ocean, lakes and marinas, essential references to the mood and mystery of the show. And if the weather (rain) isn't clearing up the mystery of a recalled memory, then maybe it has something to do with 'Scorpio' my Ascendant Sign, rising on the Eastern horizon at the time of my birth, also a water sign, not to be confused with Aries my Sun Sign. It's astrology lingo for someone who appears secretive, keenly observant, having a love for the mysterious, and as a profession, would make a good private investigator, detective, forensic specialist or FBI / CIA agent. Career wise I chose differently, but the skills and interests are still there. Give me a mystery or crime to solve, and instinctively, within minutes, I've discovered the 'motive', 'nailed' the suspect, and bingo!... closed the case! Not so with 'The Killing', where at each turn my assumptions were proven wrong due to scripted material deliberately crafted to mislead. An arresting tactic, but... 'No fair play', 'Yo'! And speaking of lingo, have you noticed within this post, the occasional interjection of the word 'Yo'? It's deliberate. It's Philadelphia slang for "Hey! ", used as a greeting, as in... "Yo, what's up? ", or an exclamation... "Yo! What the bleep are you doing? ", or added to the end of a sentence to exaggerate a point as in, "I need sugar 'wit' that coffee, Yo!" Stephen Holder, the lead detective in 'The Killing' uses it frequently. Occasionally emphasizing his point with not one but three Yo's, as in "Yo,Yo,Yo little man." Or... "Yo, you're becoming like a beautiful mind with that board." ... a reference to the movie 'A Beautiful Mind', and an evidence board filled with crime scene photos and statistics organized by his partner Sarah Linden. Holder is a likeable character, funny, somewhat lost and full of 'Holderisms' like: "Let me break it down for you. My body's my temple, right? But here? (pointing to his head)... It's a control tower. See People be wanting to put everything in a box, get spoon-fed the answers, make everything black and white. Me? I see the grays." Crazy as in good fun crazy. 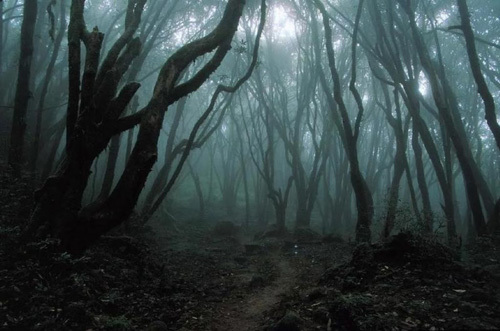 I was considering venturing into the scary wet woods early one morning, as friends I barely knew camped out soundly in sleeping bags. That night I slept in the car (my version of camping out), when someone or something began violently rocking the vehicle I was in, back and forth, then back and forth again, terrorizing me. From the cracked eggs and other food supplies strewn about, I could only imagine it was a bear who decided to have his way with me. While I walked the grounds alone, hoping not to find 'man or beast' along the way, I met a Park Ranger. We talked and ambled along a random path, which by no coincidence led to his private cabin. "I'd like to show you my frames", he said. Frames? Not prints or paintings, but frames. I saw three small, slightly damaged, empty picture frames sitting on his dresser. What was I thinking? Obviously, I wasn't. My gut told me to get out fast, which I did before being chatted up further and becoming another statistic on some cops evidence board. So here I am... many years later back in another set of woods trying to flee the scene. Only this time there were no sleepovers, bears, or lecherous rangers. Instead, there were five of us, each of us a few credits short of whatever, wishing we were anywhere other than this environmental center being lectured to by a crazy woman on the ways of the Seneca Indians... a subject that should have been interesting but clearly wasn't. As she beat on her drum, all I kept thinking about was lunch and the sandwich Michael packed for me. But to my horror, I learned there'd be no munching on packed lunches or bought meals, but that we'd be eating...'The Seneca Way' (also the title of the course), foraging for food: berries and edible plants... in the rain, without umbrellas or any other rain gear. Seriously?!... I'm afraid so. The Seneca are also known as the 'Keepers of the Western Door', named for being the westernmost of Six Indian Nations, but from where I stood, there were no doors anywhere for making an escape. Drenched, hungry, and held captive, I was about to give up any hope for survival, when I was elbowed by the guy next to me (another student), who whispered... "I know some arches where we can take cover", then added, "Trust me." Hmmm... I've heard that line before, but still followed him down a path that led to a parking lot... and his car. Ahh...a man of his word... my hero! 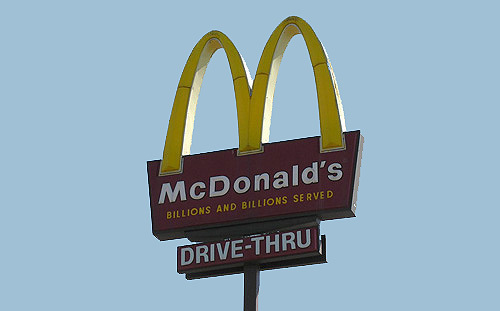 We spent the remainder of the afternoon drying out, sheltered, in deep conversation munching on burgers and fries waiting for my real hero to appear... Michael, my husband, who drove through some powerful storms to get me home. 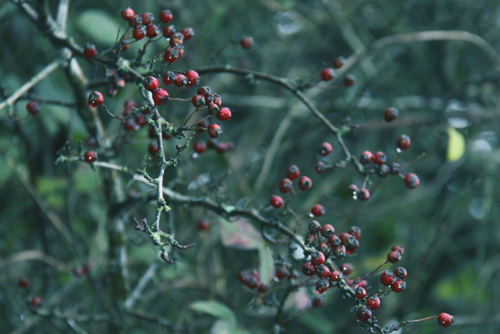 And the next day... there were three little Indians left to munch on berries and leaves, unless they too managed to escape or drop out of the class as I did along with my partner in crime. 'Yo'... 'Yo'... 'Yo'... "That's a Wrap!" How do you feel about mysteries? Have you ever been in an 'iffy' situation and gotten yourself out? 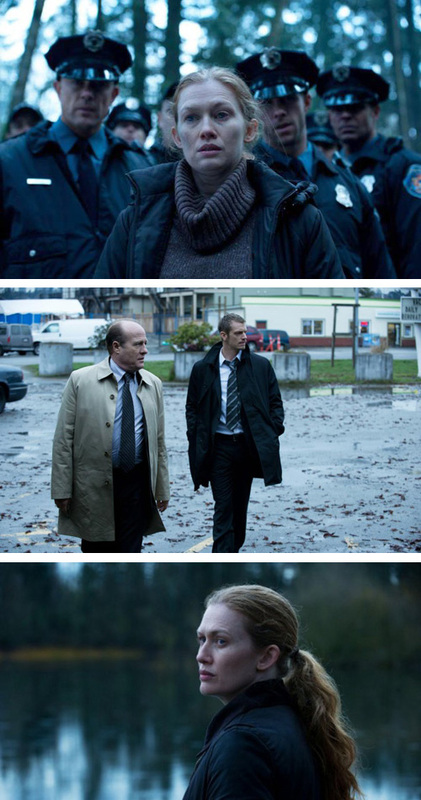 A brief video about 'The Killing': Seasons 1 & 2 here. A video of Holderisms, a peek into the character of Stephen Holder here. The installation of 'Rain Room' first shown in London's Barbican here. Now being shown through July 28, 2013, in New York at MoMA PS1 here. I tend to think that luminosity is to light as mystery is to dark. The mystery tends to emit an energy which animates curiosity while engaging my imagination-whether it be a "whodun-it" or the mere sense of being alive. 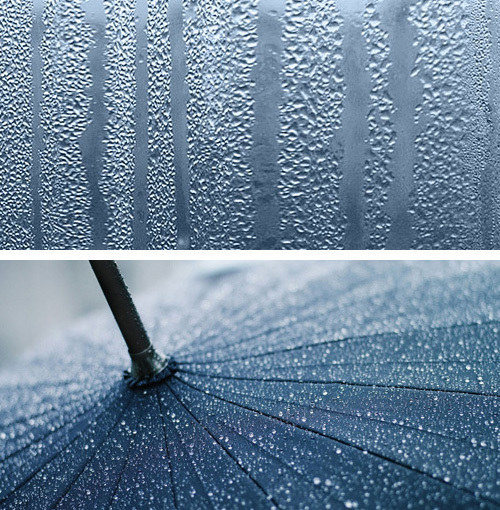 The beautiful images of rain in this blog reveal something which elude words. 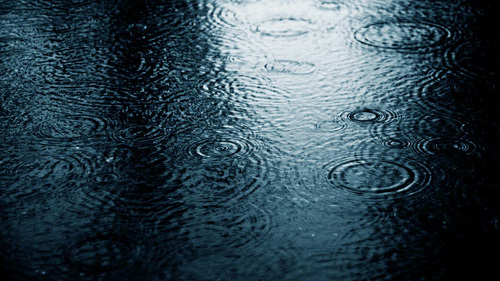 For me, rain as a form of weather, is at its best when you are not in it. Whether watching it from a window or listening to it fall on a tin roof (or metal awning for we city folks), all it ever did was to trigger my hair into a state of frizz. It's no small mystery that you've chosen to talk on Rain and The Killing. I like your philosophical analogy on light and dark and your reference to rain and bad hair days.... smart & funny! I've never been a big mystery fan. Not sure why. Your "Seneca Way" experience sounds miserable! Had I been there, I would have escaped with you! I have conflicting feelings about rain. I love the sound of it on a roof but I hate the gloom that comes with it. I'd like rain much more if it could still be sunny while it is raining (think of the beautiful rainbows that would accompany it too)! Since becoming a home owner, I welcome rain because it saves me having to water the landscape. Loved the rain room but I didn't quite follow the explanation of how it works. Would need to watch it again to understand. I had an "iffy" experience once in college when I arrived back in the city from a break from school. It was after midnight on Sunday/ Monday and I was waiting for a bus to get back to our house on Broad St. A young man stopped and told me that the busses were't running and offered to give me a ride to where I was going. I accepted. The story gets worse after that. Fortunately for me, the kid wasn't evil and I got home without being raped or worse. When I think back on that event, I cringe and thank my lucky stars! I know misery loves company, but I wouldn't wish 'The Seneca Way' on you or any good friends. I too have had a few 'iffy' experiences, besides the one mentioned in this post, that could have turned really bad fast and didn't. It's good to look back at those times, thank your lucky stars, and learn from those experiences.